Kevin Cron does not have any MLB stats for the season. Draft: 2014, Arizona Diamondbacks, 14th rd. Signed by D-backs as a 14th-round selection in First-Year Player Draft (June 23, 2014) [signed by: J.R. Salinas/D-backs]...Attended Texas Christian University from 2011-14…2014 College World Series All-Tournament Team and Second-Team All-Big 12 Conference... Brother, C.J., plays for the Twins...Dad, Chris, is the manager for Triple-A Reno...Cousins with former Major League catcher Chad Moeller, who played for the D-backs from 2004-06. Named a Pacific Coast League postseason All-Star after batting .309 AVG/.368 OBP/.554 SLG with 28 doubles, 22 home runs and 97 RBI in 104 games for Triple-A Reno…ranked among the PCL leaders in RBI (2nd), slugging pct. (4th) and home runs (T-10th)...Led D-backs Minor Leaguers in RBI and ranked second in home runs...Batted .402 AVG/.469 OBP/.598 SLG with 11 doubles, 3 home runs and 26 RBI vs. left-handed pitching...Named by Baseball America as the Best Power Hitter in Arizona's system. March 12, 2019 Arizona Diamondbacks optioned 3B Kevin Cron to Reno Aces. November 20, 2018 Arizona Diamondbacks selected the contract of 3B Kevin Cron from Reno Aces. May 4, 2018 Reno Aces activated 3B Kevin Cron from the 7-day disabled list. April 4, 2018 Reno Aces placed 1B Kevin Cron on the 7-day disabled list. January 9, 2018 Arizona Diamondbacks invited non-roster 1B Kevin Cron to spring training. September 6, 2017 1B Kevin Cron assigned to Reno Aces from Jackson Generals. March 2, 2017 1B Kevin Cron assigned to Arizona Diamondbacks. April 2, 2016 Kevin Cron assigned to Mobile BayBears from Visalia Rawhide. March 10, 2016 1B Kevin Cron assigned to Arizona Diamondbacks. September 24, 2015 Visalia Rawhide activated 1B Kevin Cron from the 7-day disabled list. September 16, 2015 1B Kevin Cron assigned to Visalia Rawhide from Visalia Rawhide. April 6, 2015 1B Kevin Cron assigned to Visalia Rawhide from Hillsboro Hops. 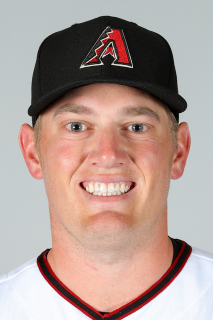 March 22, 2015 1B Kevin Cron assigned to Arizona Diamondbacks. July 29, 2014 1B Kevin Cron assigned to Hillsboro Hops from Missoula Osprey. June 24, 2014 1B Kevin Cron assigned to Missoula Osprey. June 23, 2014 Arizona Diamondbacks signed 1B Kevin Cron.